Welcome our 2019 Planning Committee members! I am an Independent contractor and NYS employee providing vision services for the past 15 years to infants, toddlers, children, young adults, and adults who are blind or visually impaired in the NYC area. I am a TVI (Teacher of the Visually Impaired), COMS (Certified Orientation and Mobility Specialist), and CVRT (Certified Vision Rehabilitation Therapist). My name is Vicki McLean and I am a Certified Orientation Mobility Specialist (COMS). After years of working in the public school system, I decided to take my love of children and community to the next level by getting my COMS certification. I want to advocate for all blind and visually impaired persons. As a professional who is new to the field, I have fresh eyes and fresh ideas. I will also advocate for those who are new to the profession to ensure that they receive the support that they need. I am committed to those who feel their voices are not heard. Brenda Naimy’s first and last professional ambition was 33 years ago when she learned of the profession of O&M and decided that’s what she wanted to do. Her first O&M job was at a private agency, working with adults with visual impairments and kids with multiple disabilities. One Thursday, during happy hour with her colleagues, she made a decision to apply for an administrative position at the agency where they all worked. She spent the next several years directing multiple programs for children, youth and adults – which let toward her an early mid-life crisis in her 30s. Perhaps her greatest lesson learned was to never make big life decisions over happy hour. As luck would have it, a position in the O&M program a Cal State LA opened – and she has happily resided there for the last 23 years. 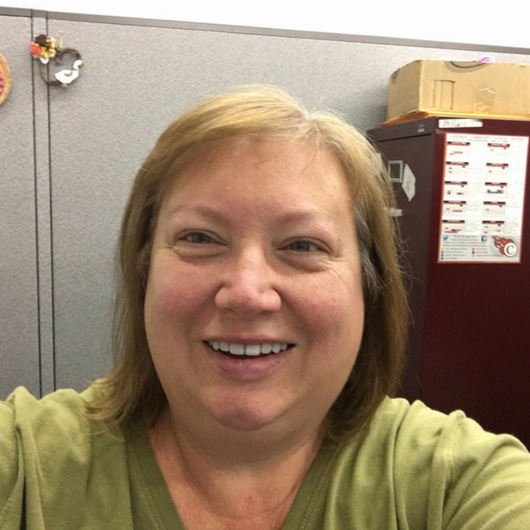 In addition to teaching at Cal State LA, Brenda serves as an Appeals Specialist with Access Services, Inc., the ADA paratransit agency for Los Angeles County. Any other professional accomplishments have solely been due to the prodding and encouragement of others. impaired and training O&amp;M, ADL or Rehabilitation specialists in Ireland and the UK. committee I had the honour of becoming a member of the IMC Executive Committee. Deena entered the field of Orientation and Mobility after graduating in 1985. Much has changed since she entered this field. Medical advances and technology have brought exciting changes to the field of O&M. Continually learning, growing and adapting to these changes and applying them to teaching O&M has always been a part of Deena’s professional development. Currently, Deena serves children, ages birth to 21 years of age, in the southeast area of Iowa and is based out of Ottumwa. I have worked as an Orientation & Mobility Specialist for over 23 years, working with both seniors and school aged children with vision loss. I am presently the Canadian Representative on the International AER Board of Directors, serving our Canadian members. Presently I am a private contractor as Orientation & Mobility Specialist and Accessibility Consultant with the Peel District School Board, in Mississauga / Brampton Ontario. I am a Certified Orientation & Mobility Specialist working throughout the state of Arizona. I teach both adults and children in public schools, through non-profit organizations, and privately. I earned my BA in Political Science from Arizona State University in 2002 and my MA in O&M from the University of Arizona in 2005. I speak French and love to cook! My name is Natalie Perzylo. I was born and bred in Ottawa, Canada and left when I was 21. My high school and ESL teacher training university degree enabled me to travel and work in a variety of countries from Spain to the Dominica Republic, down to Australia, up to Japan, then back down to settled in New Zealand in 1996. I studied at Massey University (NZ) and became a Rehabilitation Instructor in 2004. I started working with children who have a vision impairment from 2004 until 2013 then changed sides ! I’m now working with adults at the Blind Foundation in Christchurch (NZ). My travelling feet brought me to volunteer in Vietnam, and have since been looking for further opportunities. Hi! 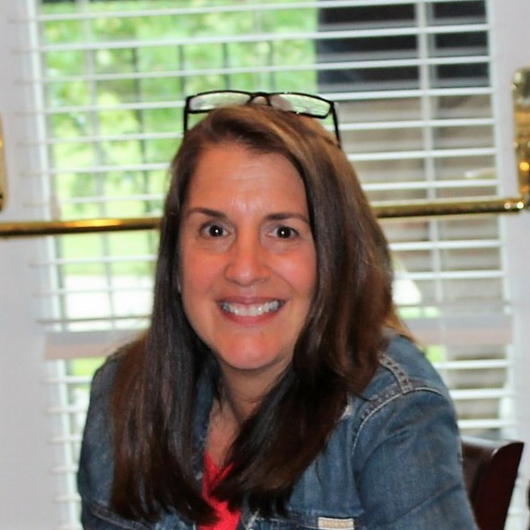 I'm Kassy Maloney, author of "Yoga for Children with Visual Impairments". Myself, along with all of our helpers and presenters, are bringing you the International Orientation and Mobility Online Symposium, an online professional development event focused on bringing the world's most cutting-edge, outstanding, and research-based Orientation and Mobility strategies together for the betterment of our students with visual impairments. I have been a Certified Orientation and Mobility Specialist for over a decade and love the increased freedom that my students experience every time I come back from an enlightening conference. I believe that every child with a visual impairment deserves to lead their most fulfilling, successful life possible. That life begins with being able to move their bodies and access their environments to the best of their abilities. With all of the advancements in the internet, it’s time to be able to provide a comprehensive digital conference experience at for all of our O&M Specialists. I think you can agree with that! Between our family's needs and other travel expenses, conferences can be out of the question sometimes. While I love the free one-off online learning opportunities, they often don't offer the caliber of presenter or the topics that really peak my interest. A few summers ago, I grew really frustrated that I couldn't go to either the national or international conferences. I was missing out on so many great topics that I REALLY wanted to learn about. Plus, it felt like I wasn't as "committed" as others who could travel to the conferences. Which is non-sense. Just because I can't go to the national conferences doesn't mean I am not a fully-committed COMS. For the past three years, I have been running a successful online business teaching yoga to busy moms. After my book, "Yoga for Children with Visual and Multiple Impairments" was released, the Universe guided me to put my energy in to serving our students. So, with my knowledge of online systems and the needs of our community, I started to ask if other people felt the same. An overwhelming number of O&M specialists felt the same way! We have all gathered our resources together to be able to put this on. I am just the one behind the scenes pushing paperwork and sending you emails. I look forward to sharing the symposium with you and helping you become a better O&M specialist. Head over to the NEWS page for the most recent updates to the 2019 International Orientation and Mobility Online Symposium. Have a question that you'd like answered? Do you have a stellar idea for the symposium and want to let us know? Fill out this form below or send me an email to kassy@kassymaloney.com. These emails come straight to my inbox. I will answer them in a timely manner. Thanks! Thank you for reaching out. These emails go straight to my inbox. I will reply back as soon as I can.